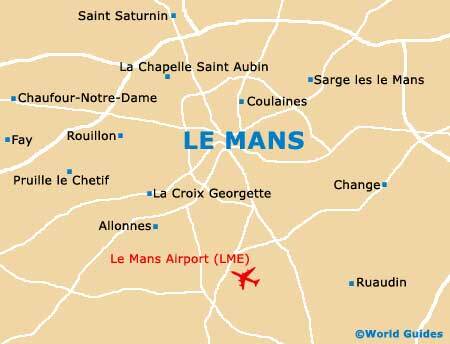 Whilst not renowned for its fine cuisine, there are plenty of good eateries and restaurants to be found in Le Mans. 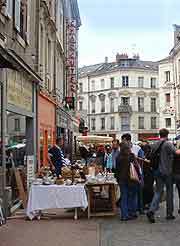 These range from small cafes where you can grab a light bite, to restaurants offering traditional French cuisine and fine dining. Local restaurants are well worth a visit if you're planning a special meal out in pleasant surroundings. All in all, there's something to suit most people's tastes and budgets in Le Mans. 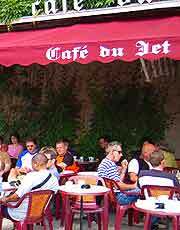 Light breakfasts of croissants, pastries and coffee are available at the many cafes within the city of Le Mans. Likewise, light snacks are usually served there during the day. Most restaurants close for at least one day a week, usually on a Sunday. If you're planning a special occasion, or have a particular restaurant in mind, it's worth checking and reserving a table in advance. If you prefer to dine out late, then it's definitely worth heading for restaurants and dining venues around the Place de la République, in central Le Mans, which tend to stay open longer during the evening. 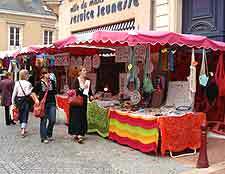 The region around Le Mans is known for its pork, duck and chicken dishes. Perhaps the city's most popular traditional dish, however, is a type of shredded pork paté known as 'rillettes'. This is served cold, in pots, and usually eaten as an appetizer, spread on toast or bread. Look out for this and other local delicacies, including 'poulets de Loué' and 'chapons du Mans'. The centre of Le Mans, around the Place de la République, is a good place to head if you are looking for brasseries, cafes and restaurants, which have a noticeable lively feel to them. They offer meals at a range of prices to suit most pockets. For elegant dining reminiscent of times gone by, head to the restaurant located within the rather splendid Concorde Hotel, where you can be sure of a meal to remember. If you're in search of atmosphere, however, it's worth taking a trip to the Old Town area of Le Mans. The city's more traditional restaurants nestle here, in among the medieval buildings. Good value French cuisine is available at reasonable prices. Visitors to the race tracks in Le Mans can also choose from a number of on-site eateries, including several bars, where snacks, including crêpes, can be purchased.